In this Bloomberg Business Week article Verizon Wireless makes it apparent that for all their generosity in regards to the Open Handset Alliance, they will not be nice enough to continue collecting premium monthly services charges that actually allow all you can eat data. I understand that the idea of business is to profit, I do, but why is this okay with so many people? There is plenty of profit to be made without somewhat trivializing the whole idea of broadband. With more place-shifting of video, constantly updating location-aware services, streaming audio, live maps, etc popping up everyday, its obviously going to be all the more exciting and useful to flex our technology muscles with those fancy devices in our pockets (and usually hands) as speed gets ramped up by LTE/4G. So, just as we see this glorious light, with promise of speeds similar to what we have at home and work, allowing seemingly limitless possibilities...the largest domestic cellular carrier tells us, "oh no, there will be limits." Check it out on Gizmodo and let us know what you think about the exterior color/finish. Me? "oooohhh, shiny!" 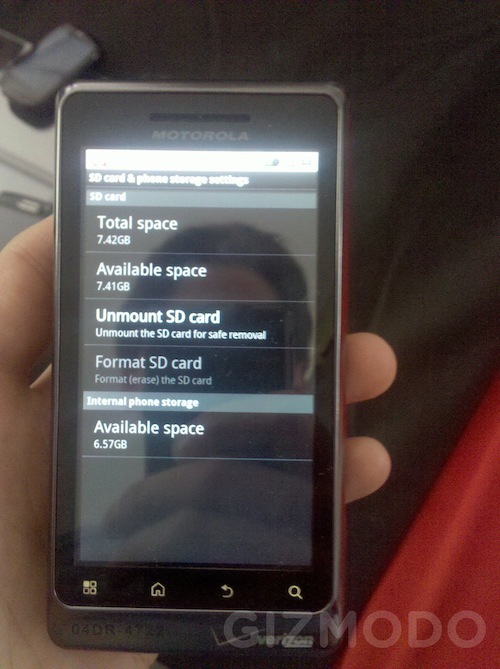 Does your DROID baseband have you searching for a charger? 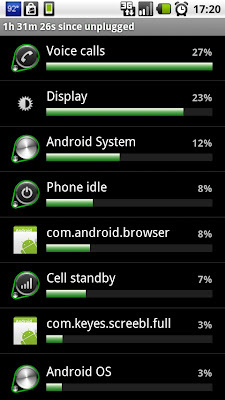 Since updating to baseband C_01.43.01P several users have noticed an increase in battery life. Other users, including myself, have noticed a decrease in battery life. 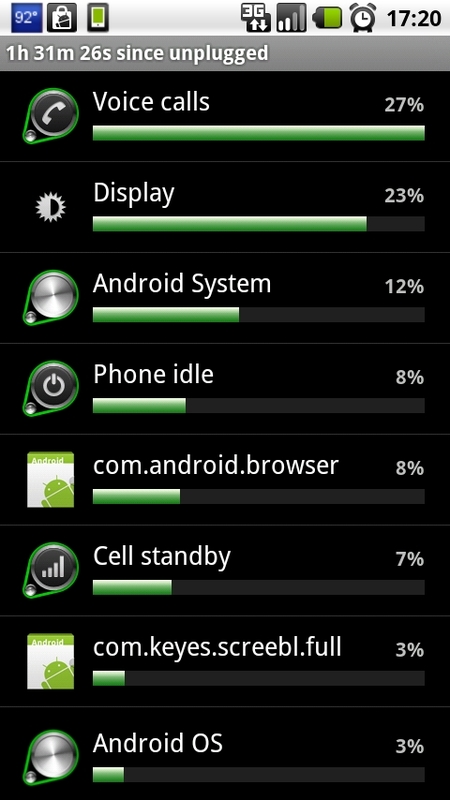 It seems that even with minimal call times, the battery is eaten away disproportionately by 'voice calls.' Below are some screen shots as evidence. Just to give you an idea, in the last hour and a half (since the batt usage was reset) I was on the phone for under 5 minutes. Pardon the DroCap anomaly on the second image.